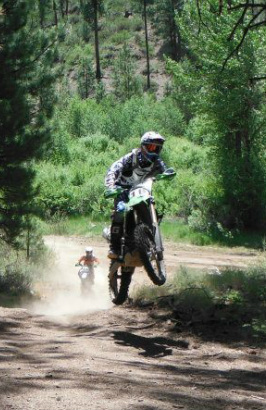 Congratulations to Josh Knight, who qualified at the Idaho City 100 and has been invited to go to the 2012 International Six Days Enduro in Germany in September!! Josh has many talents besides motorcycle racing. His ability to create videos, rivals his racing skills. We are selling t-shirts, Adults for $20 and Youth sizes for $15. Contact Josh for more info. You can purchase a shirt by sending an e-mail to JoshKnightISDE@gmail.com (that is also our PayPal account so you can submit payment electronically). · Main Track Special Test – record an individual “hot lap” and give prizes for the fastest time. · Vet Track Special Test – same as above, but on the vet track. 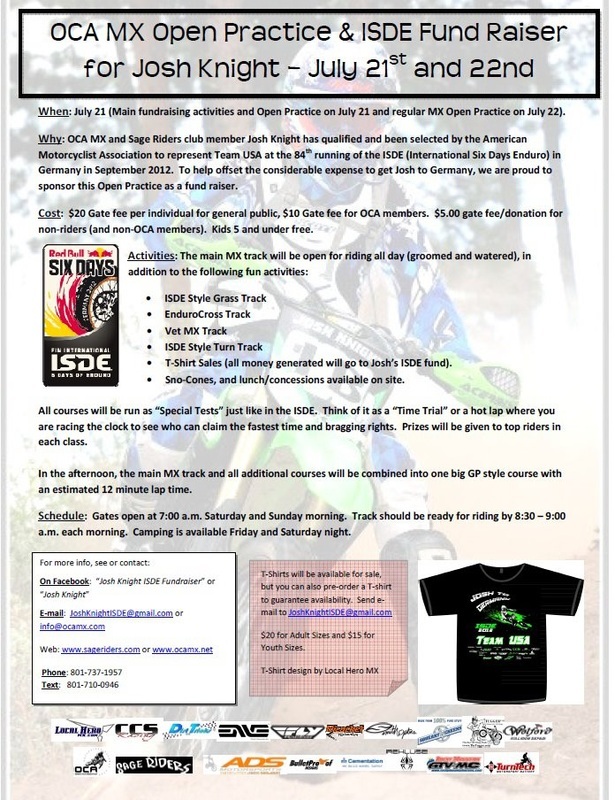 · Endurocross Special Test - Create a mini Endurocross track on the west side by using some of the pipe that is already laying around, some of the logs and tires, and other obstacles to create a small course and use it as a timed course. 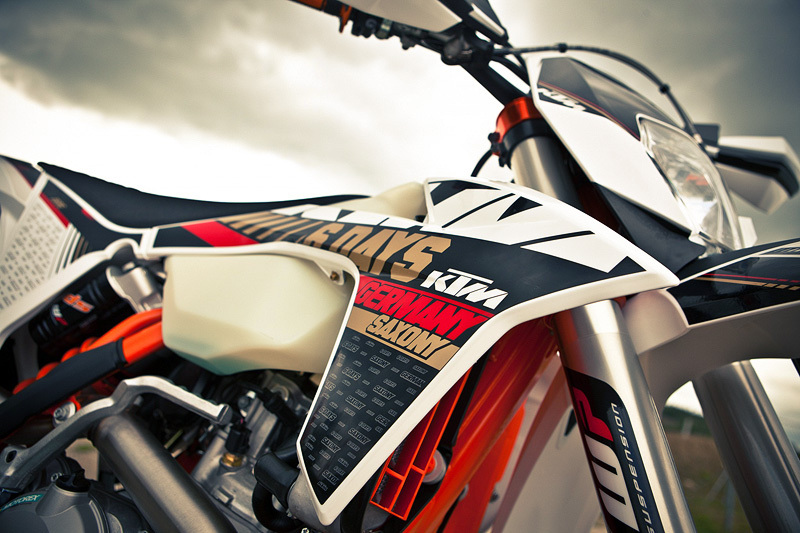 · Flat Track (Grass Track) special test – lathe and ribbon a large ISDE style grass track on the west flat area and do a timed test in this area. · Escargot (Snail) test – if you haven’t seen one of these, they’re a riot. It’s basically a huge ribboned circular test where you ride in a big circle that continues to narrow down to the middle (think of one huge left hand turn where you have to exercise throttle control), and then once you get to the middle it reverses and you ride out the opposite direction. · Slow Race Test – a Timed test to see who can go the slowest in a straight line between two points without putting their foot down. · Barrel Race Test – similar to Rodeo Barrels, but do it as a timed test. 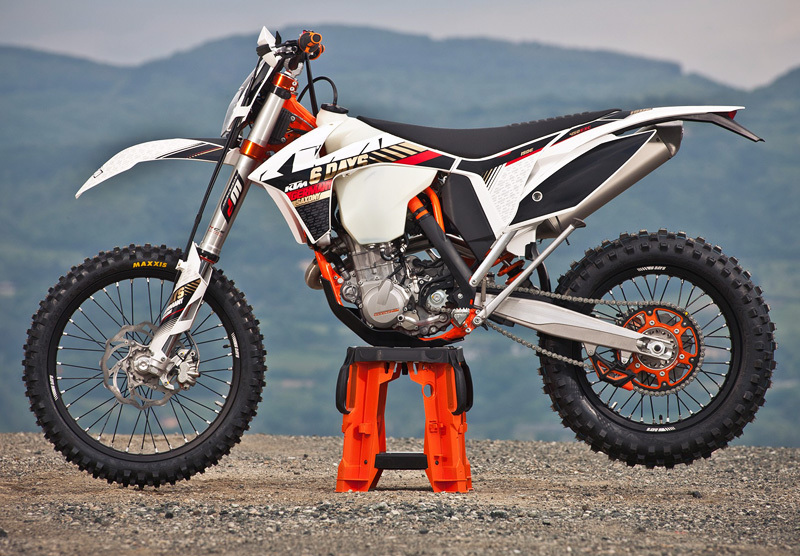 · Trials Test – just an idea, but maybe something similar to the Endurocross with obstacles, but score it like a Trials event with penalty points for dabbing a foot.